Not sure if this is legal but we are trying to get a group buy together on the axis forum. If your interested might be worth registering over there and getting in on it. Illegal. 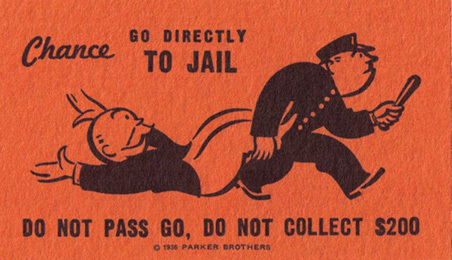 Go Directly to Jail; Do not pass GO; Do not collect $200. I'd be in for this. You never know. Jump on the Axis forum and we will get you in. Did it. Pending account approval (if I were an Admin, I would deny me). Is the group buy good for all kinds of boats? If so id be interested. Didn't hurt to ask right? pretty sure it is for any boat. PM contact dgoose and check with him for the discount codes. I was speaking of the one being poor together on the axis forum. However it may not matter sooner. I will ask. Contact me ASAP and I'll send the info. More people should contact me before buying big ticket things. I have so many different buys that I want to put together but only do the ones that are requested the most. So PM me with your requests. I am in it on the axis forum. I need one. You should just add the "swag king" moniker to your screen name. Just sayin'. If you want in go to the axis forum and send the admin a PM and he will give you the discount code. Man you had me on that one and needed to look it up. I would add that but I'm the only one with that title.